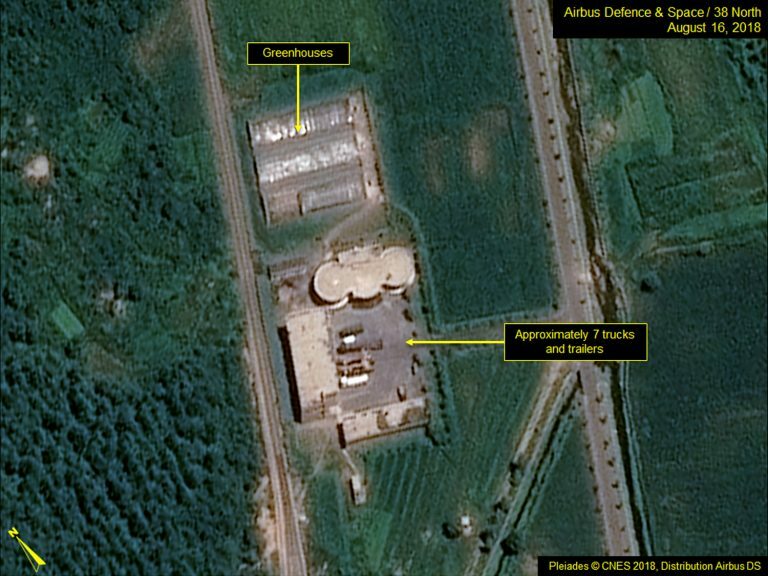 A 38 North exclusive with analysis by Joseph S. Bermudez Jr., Frank V. Pabian and Jack Liu. 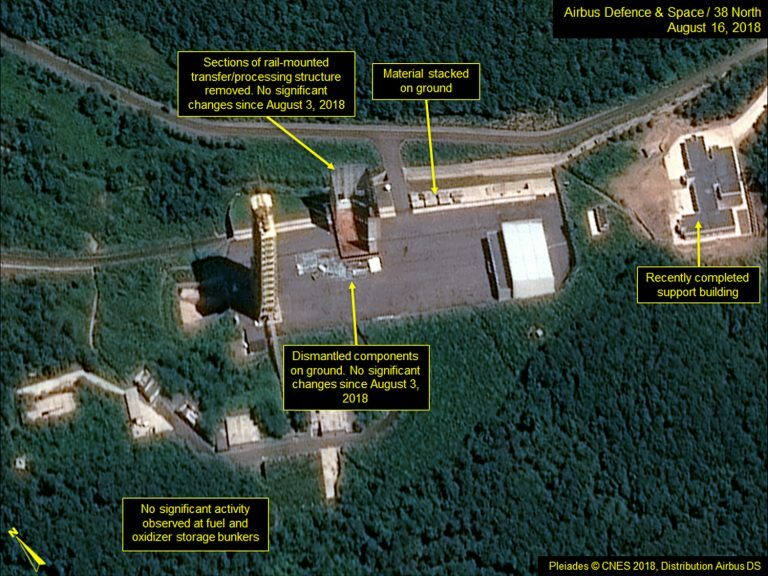 Commercial satellite imagery from August 16 of the Sohae Satellite Launching Station, North Korea’s only operational space launch facility, indicates no significant dismantlement activity has taken place at either the engine test stand or the launch pad since August 3. At the vertical engine test stand, while significant progress in tearing down the facility was made from July to early August, no new dismantlement activity is apparent since August 3. The components previously removed remain stacked on the ground. Figure 1. 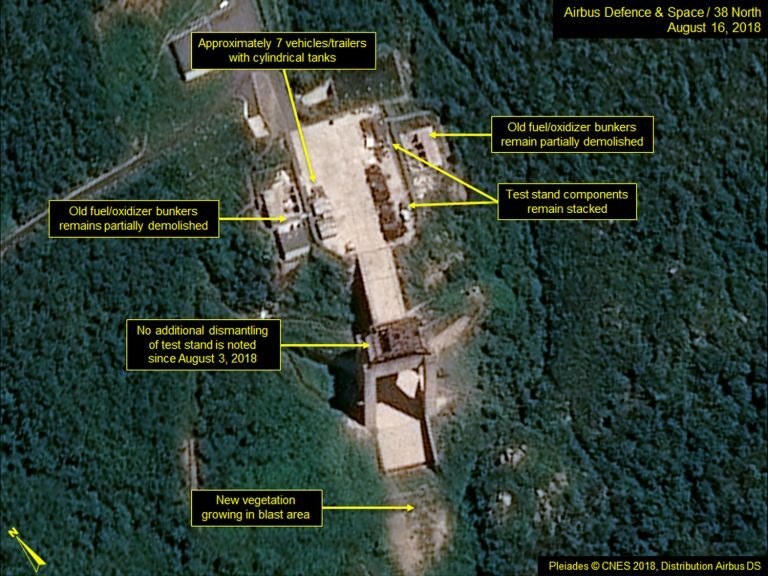 No significant activity observed at the engine test stand since August 3. 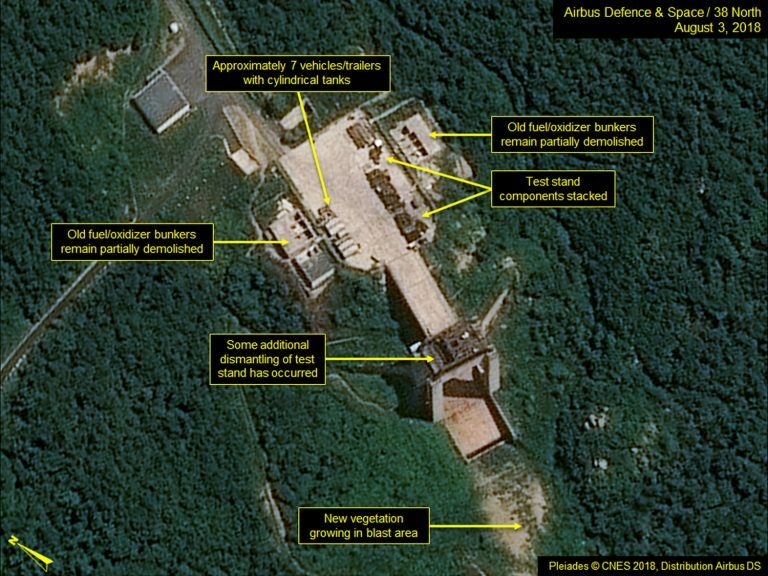 On the launch pad, work on the rail-mounted transfer/processing building appears to have stalled. The same parts of the west and north walls that had been previously removed remain stacked on the ground. The gantry tower and assembly building are intact. It is still unclear if this activity is associated with dismantling or modification of the structure. Figure 2. 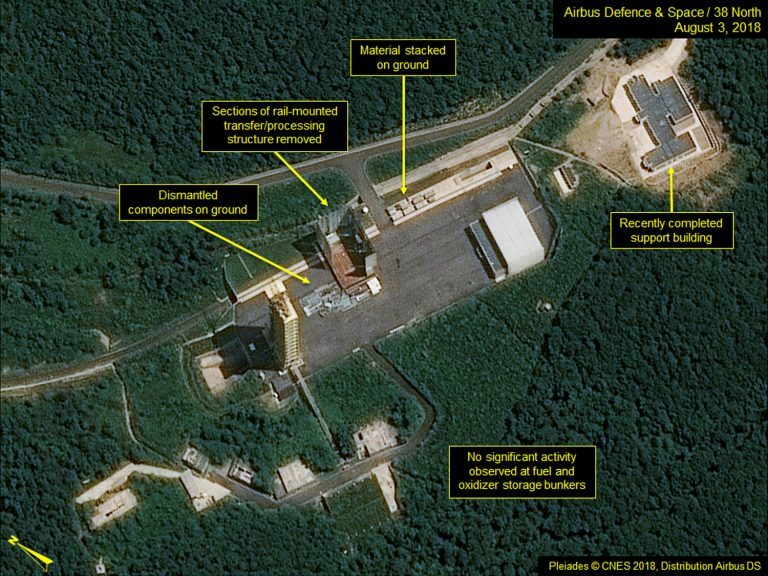 No significant activity observed at launch pad since August 3. While activity at the site seems to have slowed down, there has only been a slight reduction in the number (from 11 to 7) of trucks and trailers at the Administrative and Security Headquarters. 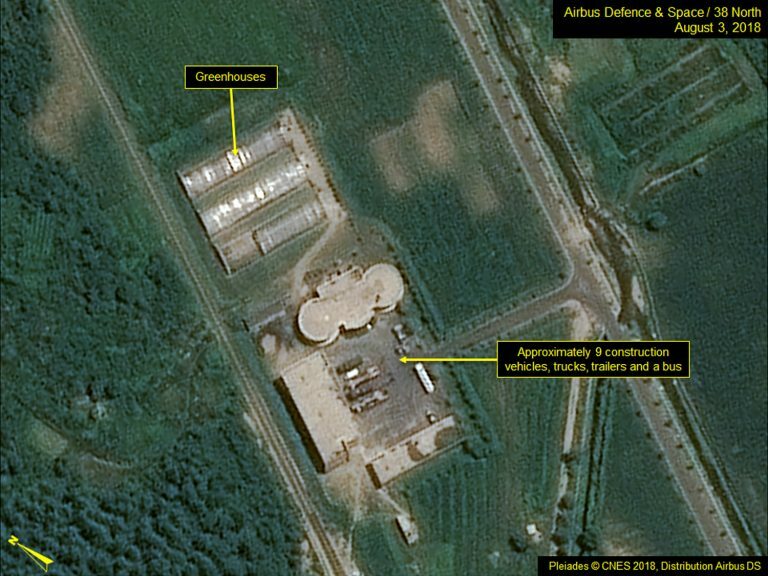 These vehicles appear to be related to the activities at the engine test stand and launch pad. Figure 3. Fewer vehicles present at the Administrative and Security Headquarters.